Season tenders with salt and pepper. 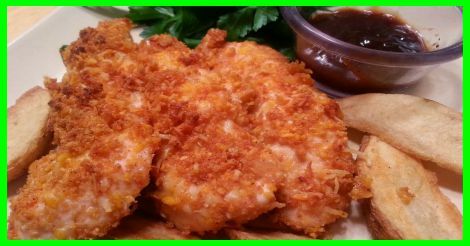 To assemble take each tender and dip in bbq sauce, cheddar cheese, and breadcrumbs. Place chicken on lightly sprayed cookie sheet and bake at 375 for 25 minutes or until crispy and juices run clear. Enjoy!